Wei-Meng Lee (Microsoft MVP) http://weimenglee.blogspot.com is a technologist and founder of Developer Learning Solutions http://www.learn2develop.net, a technology company specializing in hands-on training on the latest Microsoft technologies. 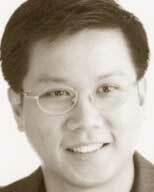 He is an established developer and trainer specializing in .NET and wireless technologies. Wei-Meng speaks regularly at international conferences and has authored and co-authored numerous books on .NET, XML and wireless technologies. He writes extensively for the O'Reilly Network on topics ranging from .NET to Mac OS X. He is also the author of Windows XP Unwired and .NET Compact Framework Pocket Guide, both from O'Reilly Media, Inc.
"An excellent resource for someone who is already familiar with Windows and doesnt need this is your mouse" hand-holding. It explains Windows 7 concisely and with plenty of illustrations." "Bottom line, Windows 7: Up and Running is the perfect mix of basic and intermediate information that takes aim at a particular target audience and hits it dead-on. As we migrate to Windows 7 at work, I have a feeling that my copy of this book might end up passing through a few different sets of hands." "...Wei-Meng Lee has produced a well-organized, clearly written, and richly illustrated book of less than 200 pages that helps users harness the power of Windows 7 in minutes rather than hours...In addition to changing the way you see Windows, it might just change the way you see yourself as a computer user." "What a treasure this book is! It is jam-packed with tips and step-by-step instructions any user will find useful. " "Lee is well organized and fluid keeping the mood rather light in a text that could be painfully dry...In all, Lees Windows 7 is a good bargain in the overview category..."
"In my opinion the average user looking to find their way around Windows 7 will find this book helpful for all of the basic functions that most people would be working with...I found it easy to follow. There are many screen shots that the author uses to help the reader understand the point being made. Well written and illustrated." "If you're looking for a Windows 7 book to cut through all the features and confusion and to get you started with some of the more commonly used aspects of the OS, you've come to the right place with Windows 7: Up and Running. " "Upgrading to a new operating system is often a daunting task. Now the pain of moving to Windows 7 can be reduced for Windows XP and Vista users with this handy guide." "For anyone who has some experience with a modern OS this is a more valuable and efficient path than any "dummy's" or "visual guide"." "Lee usually does a great job of selecting just the right level of detail to show new VB 2005 programmers what it's about without burying them at the same time. "